Kerry is the Director for the Community Health Center, Inc. (CHCI’s) Postgraduate Residency Training Programs. In this role, she oversees the management of all CHCI Postgraduate Residency Training Programs. CHCI’s residency programs include: the Nation’s First Family Nurse Practitioner Residency Training Program, Postdoctoral Clinical Psychology Residency Program, Psychiatric Mental Health Nurse Practitioner Residency Program, The Center for Key Populations Fellowship and Weitzman Institute Administration Fellowship. Future plans include implementing a Dental Public Health Residency Program. Kerry is also responsible for overseeing and managing all aspects of CHCI’s remotely-hosted nurse practitioner residency programs across the country. 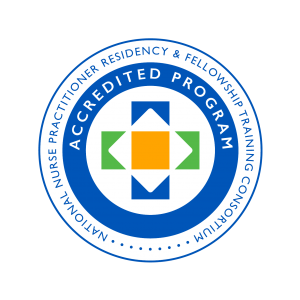 Currently, CHCI is remotely hosting nurse practitioner residency programs in the states of California, Hawaii, Indiana, New York, Oregon, Rhode Island, and Washington. In addition to ensuring the successful operation of CHCI’s various residency training programs and remotely hosted nurse practitioner residency programs, Kerry also serves as CHCI’s Institutional Review Board (IRB) Administrator and Co-Principal Investigator for HRSA’s National Cooperative Agreement (NCA) on Clinical Workforce Development. Kerry completed the Clinical Microsystems training at the Dartmouth Institute and is a certified coach. Kerry is a CT AHEC Advisory Board Member and a member of the Connecticut Institute for Clinical and Translational Science (CICATS) IRB Administrators. Kerry has an undergraduate degree from Merrimack College and a Master’s Degree in Business Administration from Western New England College.